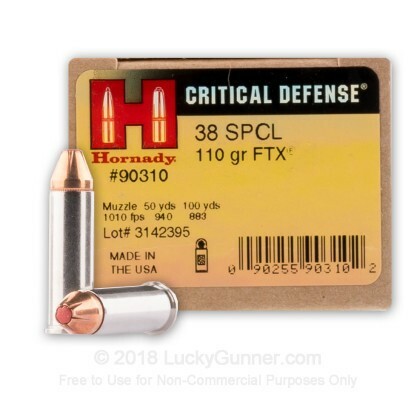 We test fired five rounds of .38 Special Hornady 110 gr FTX Critical Defense into synthetic ballistic gelatin to observe its expansion and penetration characteristics. The ammo was fired from a Kimber K6s pistol at a distance of 10 feet. A four-layer barrier of heavy fabric was placed in front of the gelatin to simulate clothing. 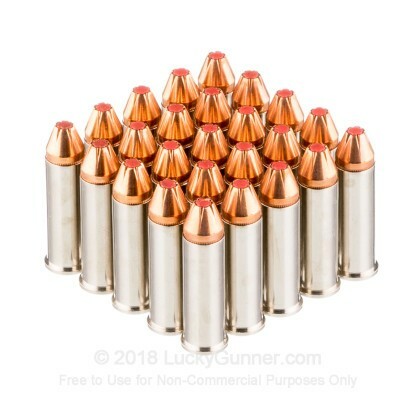 .75" This ammo: 0.44" Min: 0.35" Median: 0.45" Max: .75"
14" 0" 9.5" 14.7" 30.3" This ammo: 14" Min: 9.5" Median: 14.7" Max: 30.3"
We test fired five rounds of .38 Special Hornady 110 gr FTX Critical Defense into synthetic ballistic gelatin to observe its expansion and penetration characteristics. The ammo was fired from a Ruger GP100 pistol at a distance of 10 feet. A four-layer barrier of heavy fabric was placed in front of the gelatin to simulate clothing. .75" This ammo: 0.45" Min: 0.35" Median: 0.45" Max: .75"
13.9" 0" 9.5" 14.7" 30.3" This ammo: 13.9" Min: 9.5" Median: 14.7" Max: 30.3"
I bought these after much research for my wife to carry in her 38 snubbie. She shoots them accurately & handles the recoil well. Added bonus is the pointy bullets make using a speedloader easier. I haven't used it yet. Self defense. But it looks great! I fired this through a vintage 38 official police at the range. The ammunition appeared to be high quality with no noticeable defects and was at least as accurate an consistent as anything I've fired through that same pistol. I will be purchasing more of this ammunition for home defense needs. 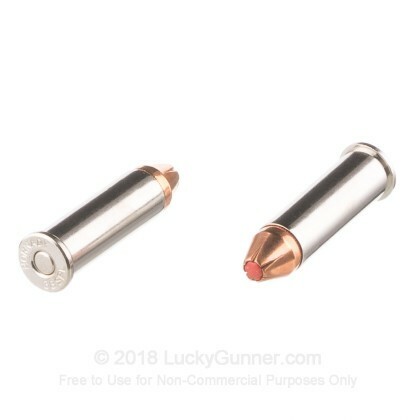 I bought these for my daughter to carry in a .357 Speed Six. The. 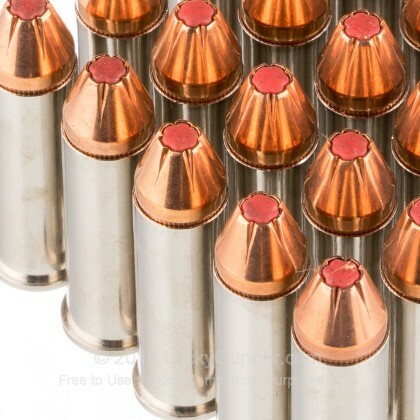 357 is too powerful for urban areas plus these have a manageable recoil. I have several relatives who refuse to carry anything else. I gave it 3 for value because of the price, but that's just a sign of these dangerous times. potential . Always loaded with FTX during home defense and concealed carry mode. A sweet cartridge. So clean. So accurate. Yes - it is pricey. But, when if comes to life and death - price is insignificant. You have one chance when faced with a deadly situation. You don't get a second. Get the best, and Hornady is it. wow. I looked long and hard for this type of ammo. emits less smoke than other .38 type rounds. The pop is solid. I'm assuming all the Critical Denfense rounds do what they claim to do. Hornady does a lot of research. I know the best price is always going to be LuckyGunner. 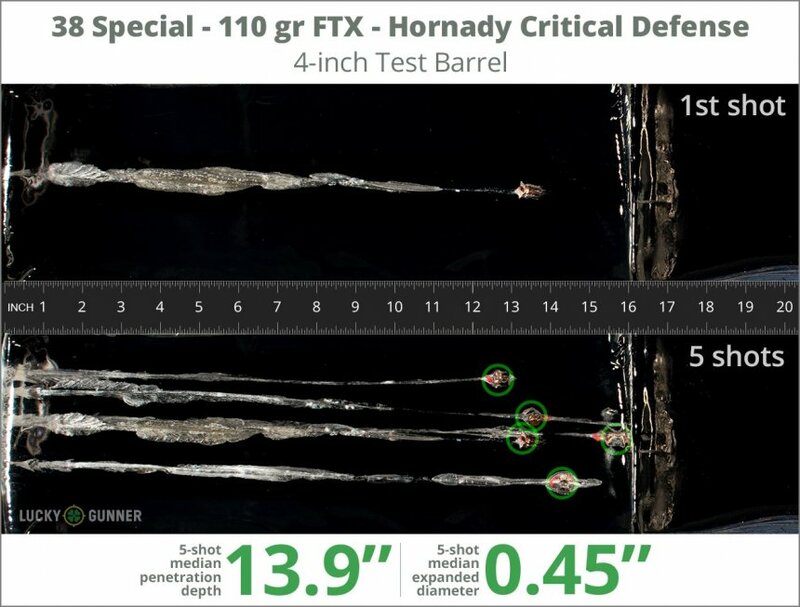 Hornady makes superb ammunition. "Critical Defense" means just that. This is more expensive ammo, and not meant to be used for extensive "range firing." 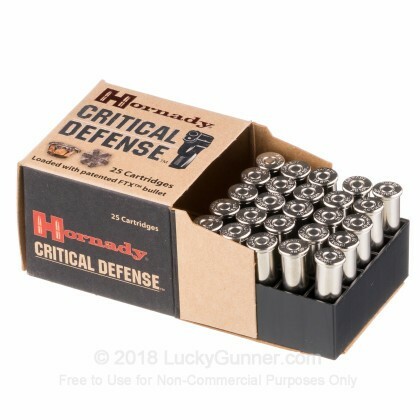 Buy cheaper ammo to use at the range, "Critical Defense" ammo is meant to save your life if need be. Practice with something cheaper and stop whining about the cost of this excellent ammunition. I have a new revolver and I shot off a few of these to get a feel for the handgun and the ammo, and I had no problems. they do what they it will. then why a 3 value? i can Not afford to Practice w/them. No practice? then not much Value. we beat rejected the online ban. I like many others have these bullets in their gun for a real attacker situation. I just hope they live up to all the hype and advertising. But so far each one I practiced on went boom. I wish Horandy on the flip side would sell cheap waddcutters in .38 with same amount of 110gr to them. I can afford them but I could never afford to practice with them. But bottom line the product went bang and Luckygunner.com was terrific as usual. I live in CA so thanks for all great service. Some day we will get this thing new law overturned. Just consider CA a warning to all other states, don't give a inch of your rights away or they will take a mile. Excellent value to quality ratio. 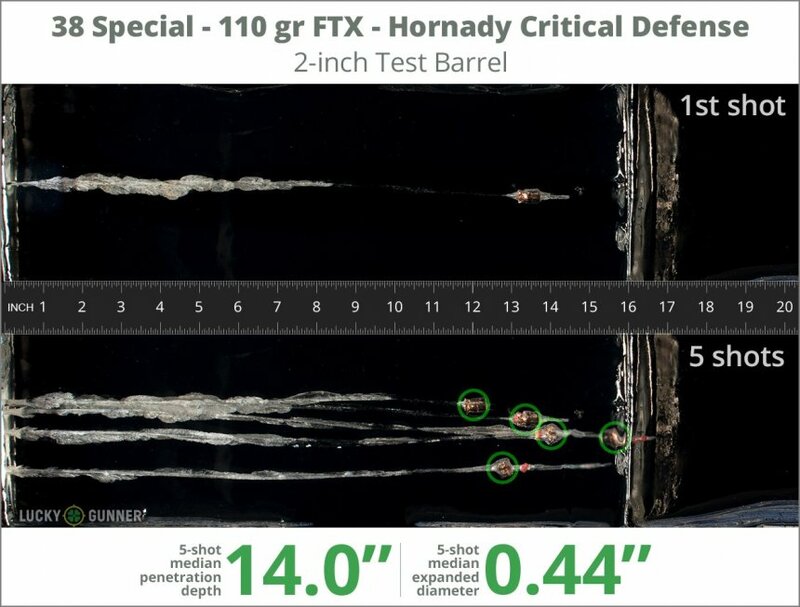 Hornady lives up to their reputation as high quality defense ammunition. I encountered no problems at the range. Excellent value to quality ratio. Q: Is this round considered to be a plus P? If so is this going to be a problem for an S&W J frame? Thanks. Posted On: 3/8/19 By: Peter R.
A: Hi Peter. This is a standard pressure round and can be safely fired in any .38 special revolver. The FTX is one of our customer's favorite for concealed carry as well! 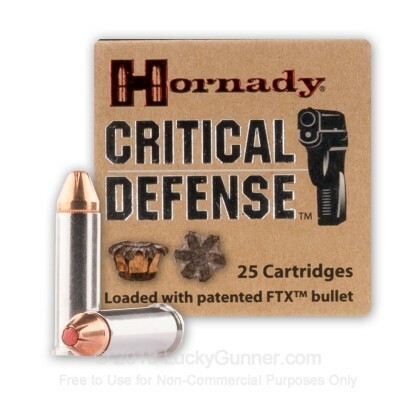 We also have this 38 Special - 110 Grain FTX - Hornady Critical Defense - 250 Rounds ammo in stock in a bigger quantity.